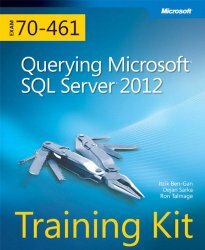 Ace your preparation for Microsoft Certification Exam 70-461 with this 2-in-1 Training Kit from Microsoft Press. Work at your own pace through a series of lessons and practical exercises, and then assess your skills with practice tests on CD–featuring multiple, customizable testing options. Maximize your performance on the exam by learning how to: Create database objects Work with data Modify data Troubleshoot and optimize queries For customers who purchase an ebook version of this title, instructions for downloading the CD files can be found in the ebook.